This one of those sad stories of players who were a wonderful youngster in football at some point, who even reached the glory, but today live a quite different life than the world imagined and predicted. The story of ex-Ghanaian footballer Baba Sule is touching and somewhat being fruitful but loaded with challenges. the World-Cup winner had to conquer niggling injuries which made him hang up his boots in 2006. 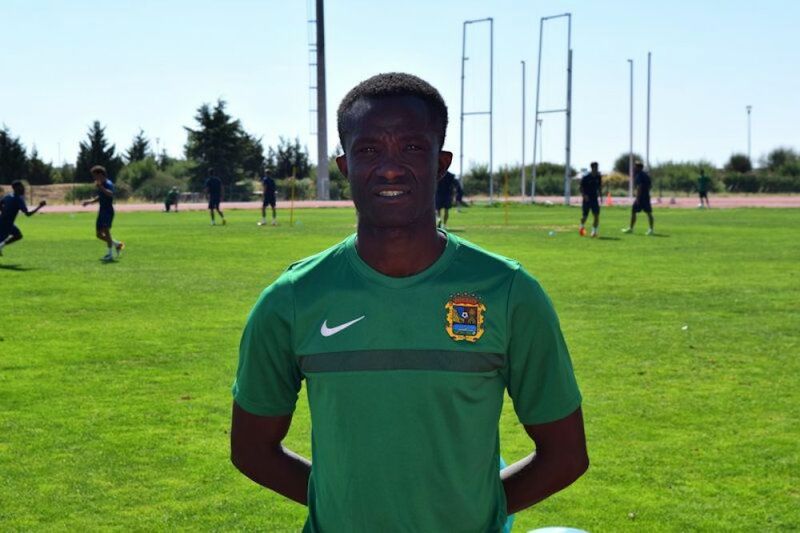 In any case, Baba finds it hard to stop football totally and discovered his way to Fuenlabrada, where the club from opened new opportunities for him to wind up as the club’s new kit man, and he couldn’t be more joyful as a man who cherished, adores and will always love football. In 1995, Baba Sule celebrated his most prominent achievement when he scored past former Brazilian shot-stopper Julio Cesar in the final of the U17 World Cup with the Ghanaian national team, who eventually ended up winning the U17 World Cup final, sparking a memorable moment for Ghanaians to savor. Baba Sule wanted to make his name in Spanish football and landed at Mallorca only a year later, unfortunately, he contracted hepatitis, which cut his career off. That was his first difficulty he experienced in his footballing career. Leaving Mallorca for Ourense, where he broke two bones up in his arm. Baba came back to partake in the U20 World Cup, where he scored two more goals, Ghana finished in fourth place in the tournament. At that point in 1999, Real Madrid took a risk with the promising youngster and secure his services into their youth academy, but he failed to make an appearance for Los Blancos and proceed onward to Leganes. Be that as it may, niggling injury issue kept on plaguing his career. Baba Sule suffered two hard injuries that forced him to leave professional football. Baba Sule said in an interview with Spanish newspaper ‘ABC’: “I tore my ligaments in the first game of the season. I then recovered and on my first day back in action, I damaged my knee. It was very hard for me”.